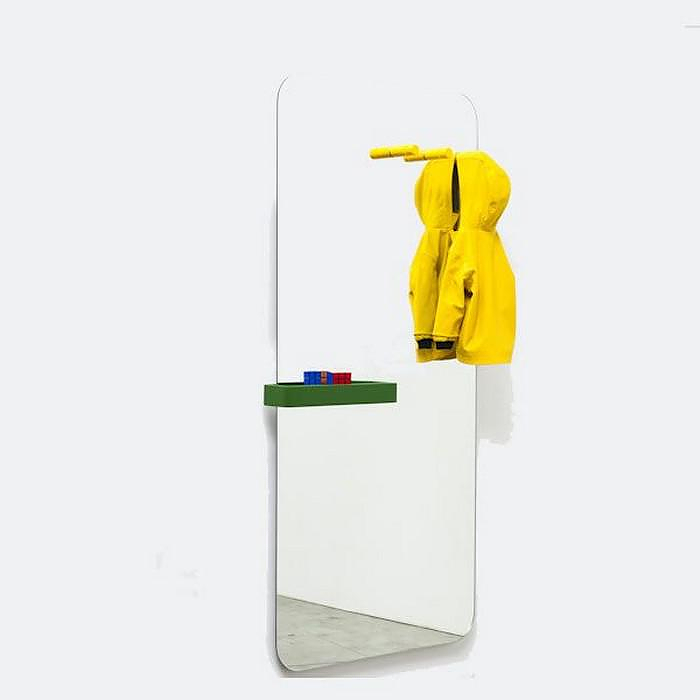 HomeBlogHome DecorBenvenuto Mirror by Paolo Cappello for Miniforms. The minimalist design approach is evident by looking at the utterly simplistic frameless design. 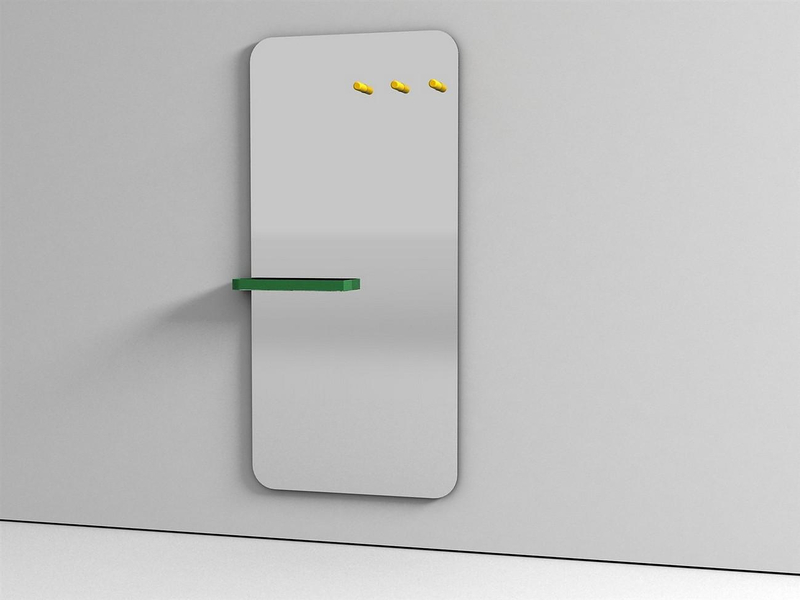 The mirror is sleek and simple as, consisting of a large lean surface with elegantly rounded corners. The discreet styling is finalized with the subtle colored details. 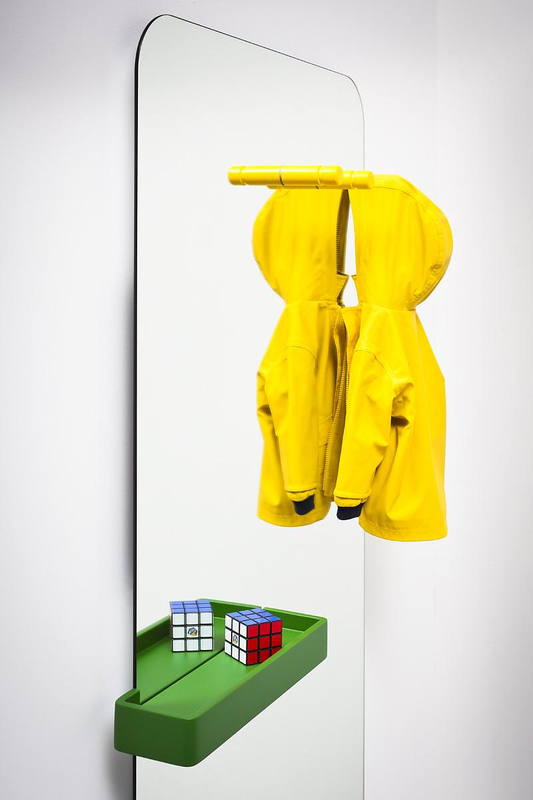 A linear storage shelve, convenient for storing small items such as key fobs or sunglasses, and three pegs particularly useful for hanging accessories such as scarves and hats. The hangers and the pocket change tray are available in white, black, red, yellow or green color. 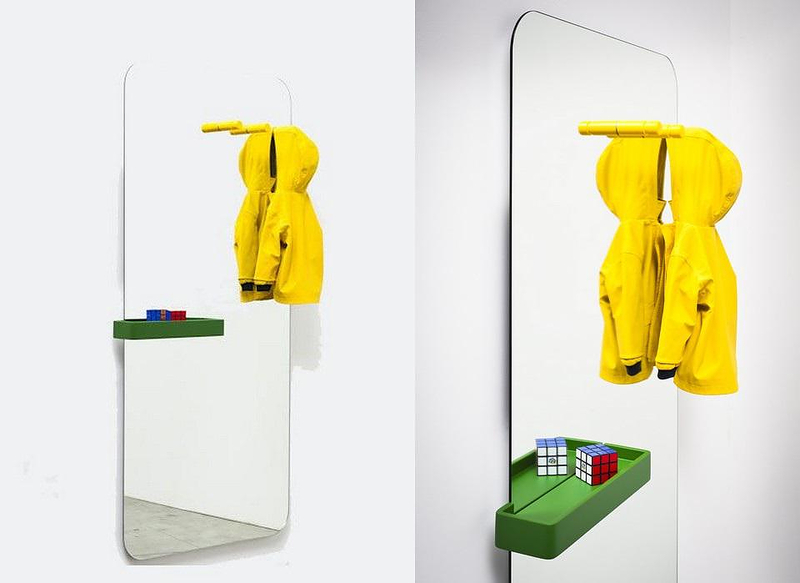 Having graduated in Industrial Design at Politecnico di Milano, Paolo Cappello is a promising young Italian designer. After a three years collaboration with Ludovica+Roberto Palomba in Milan, in 2007 he setup his own studio in Verona where he collaborates with other professionals in architecture, communication and graphics. He received many international prizes for his works, such as the: 2008 Promosedia International Design. 2008 Swarowsky Crystal Visions, 2009 Ossigeno Italiano Prize by Abitare Magazine 2011 Young & Design Award 1st prize 2011, 2012 Elle Decor Young Designer Talent. The Benvenuto Mirror is a typical example of the designer’s distinguishing style, characterized by simple lines, pure form and subtle use of color.